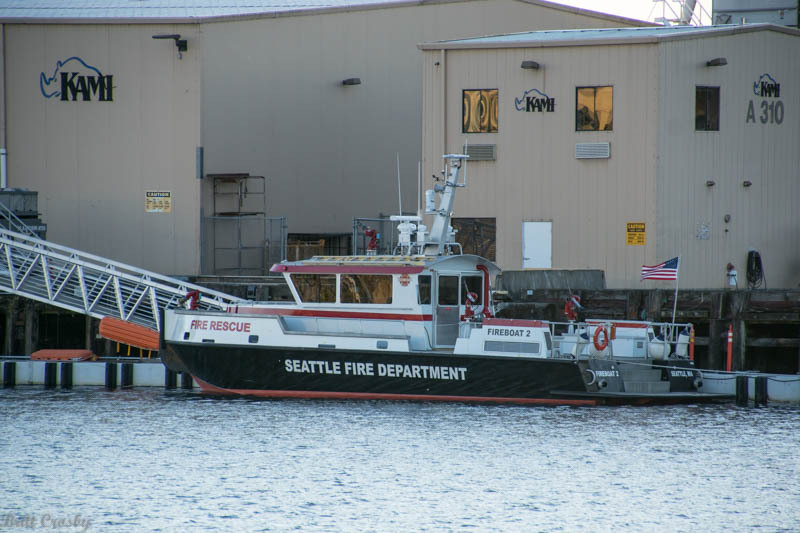 are capable of more than 7,250 gpm. 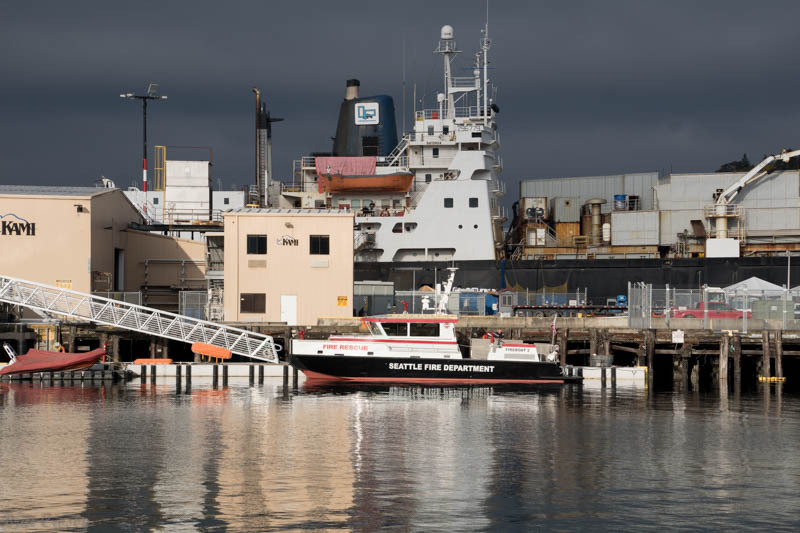 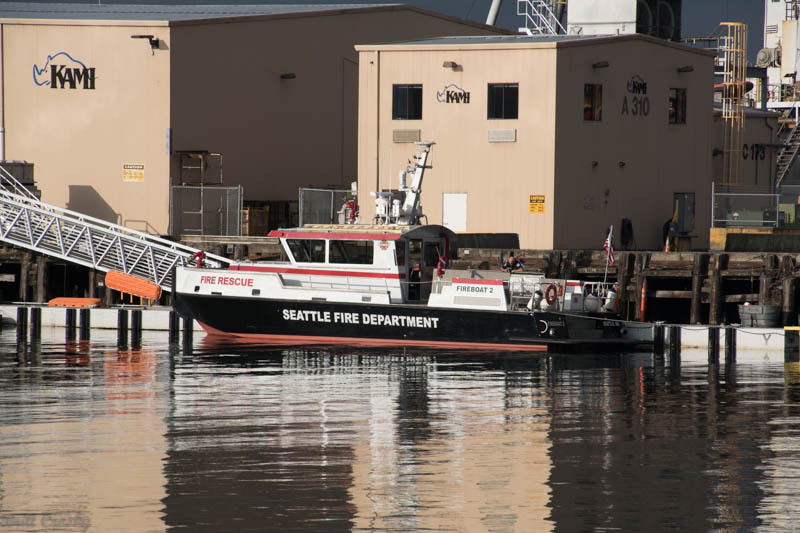 but is shown here at the Port's Pier 90 while Station 5 is being rebuilt. 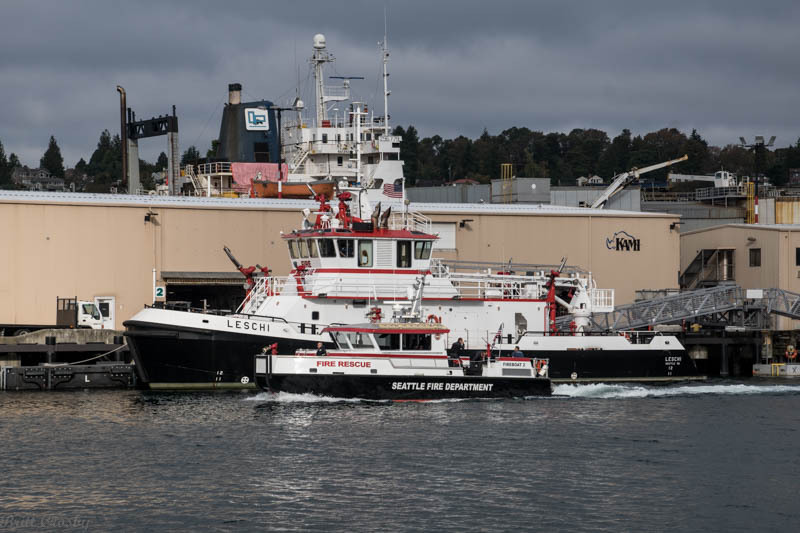 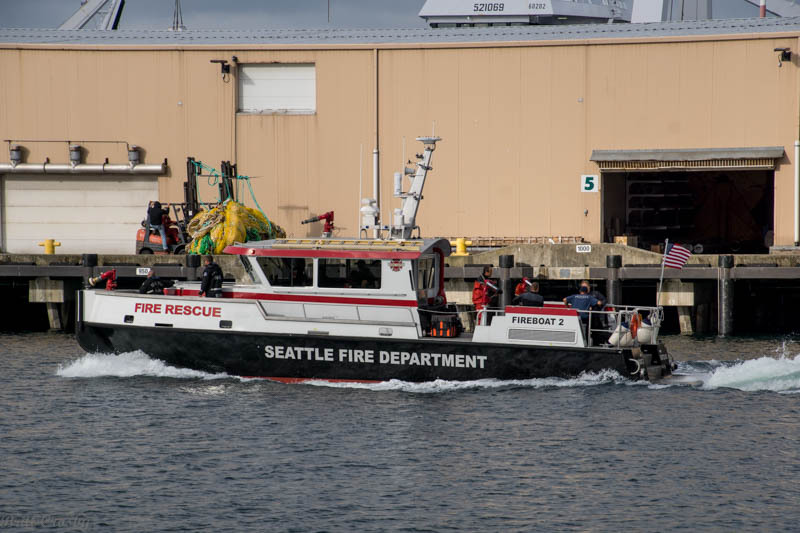 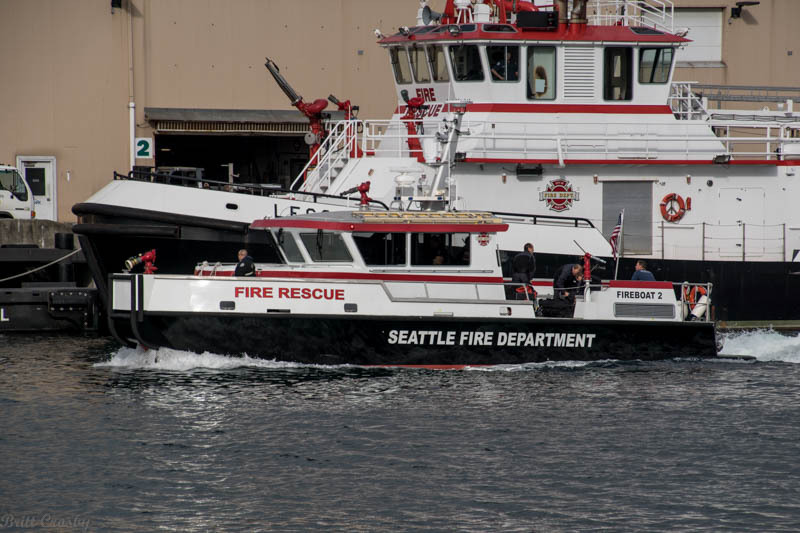 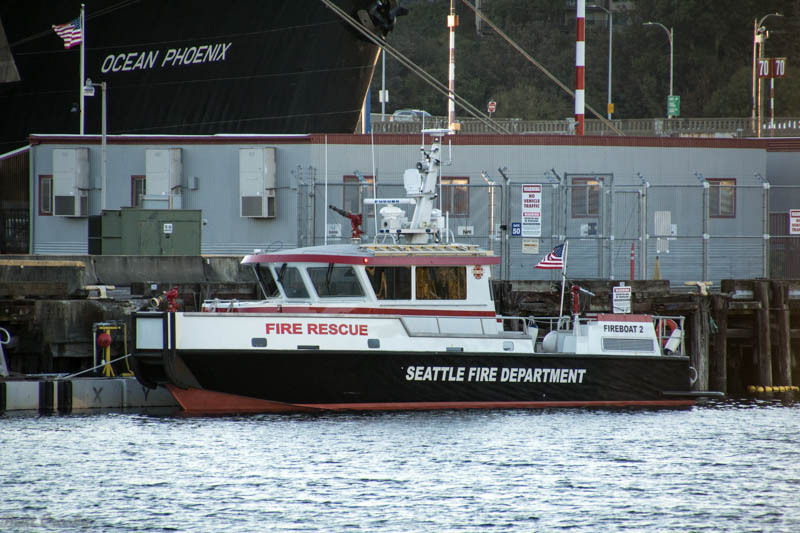 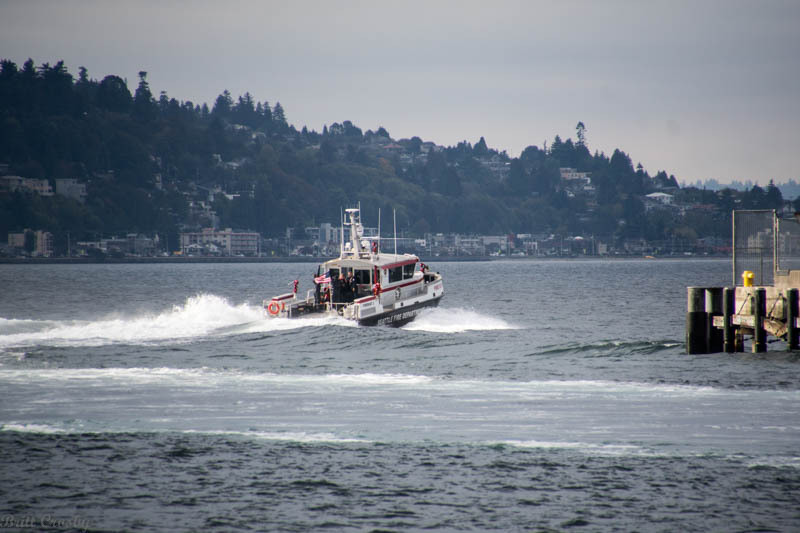 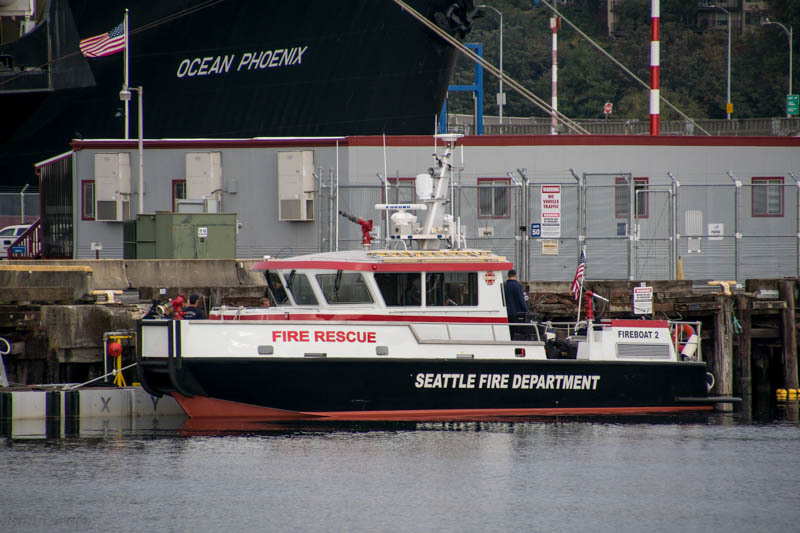 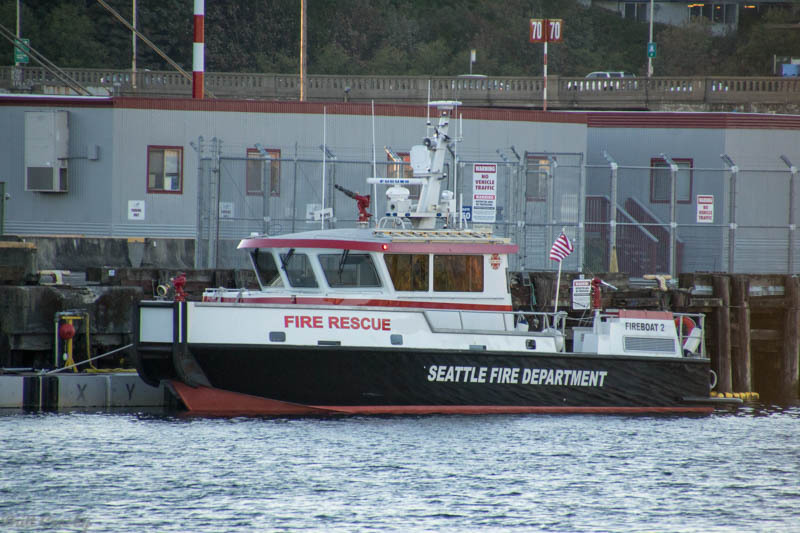 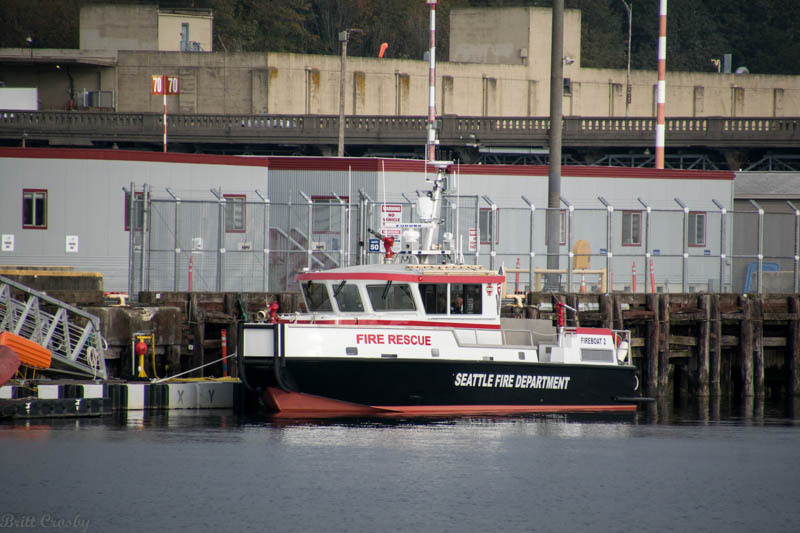 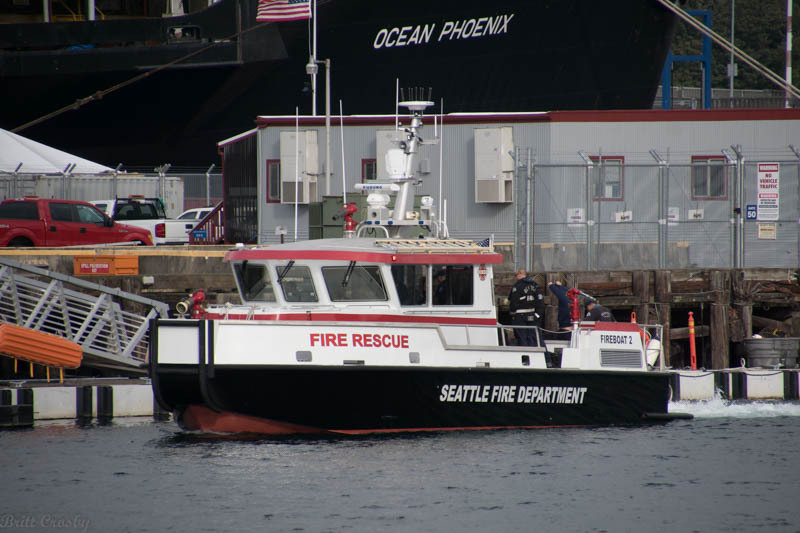 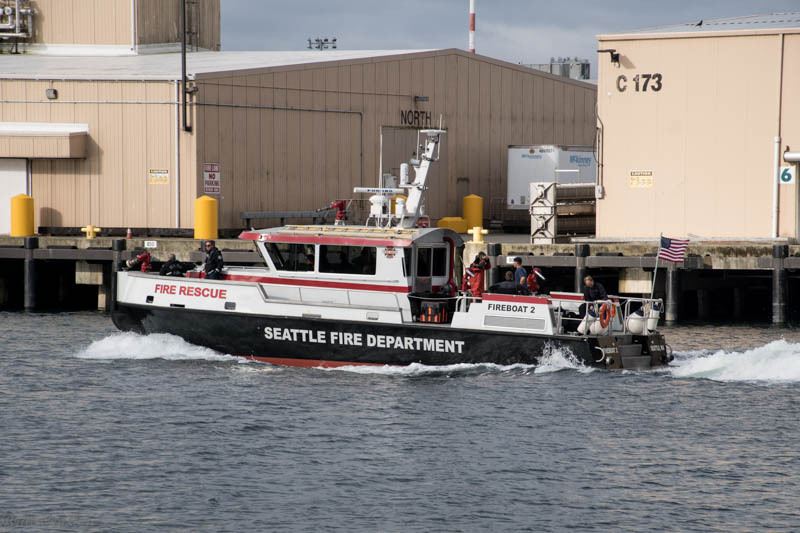 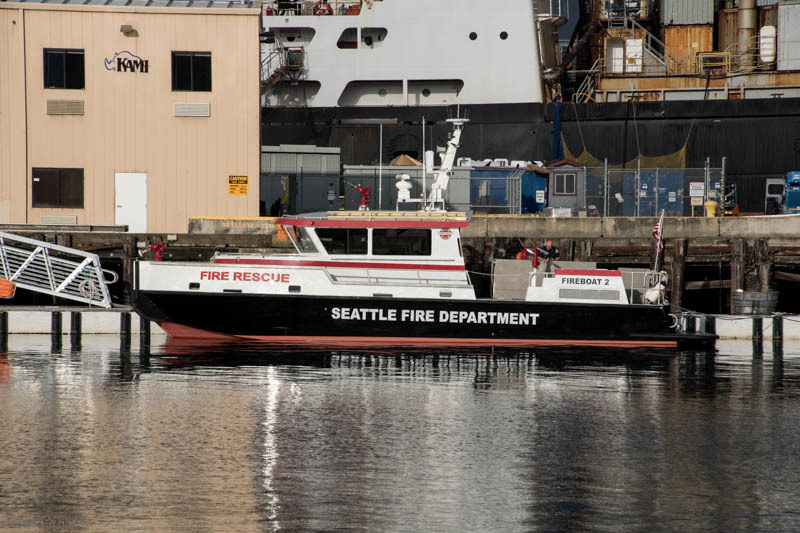 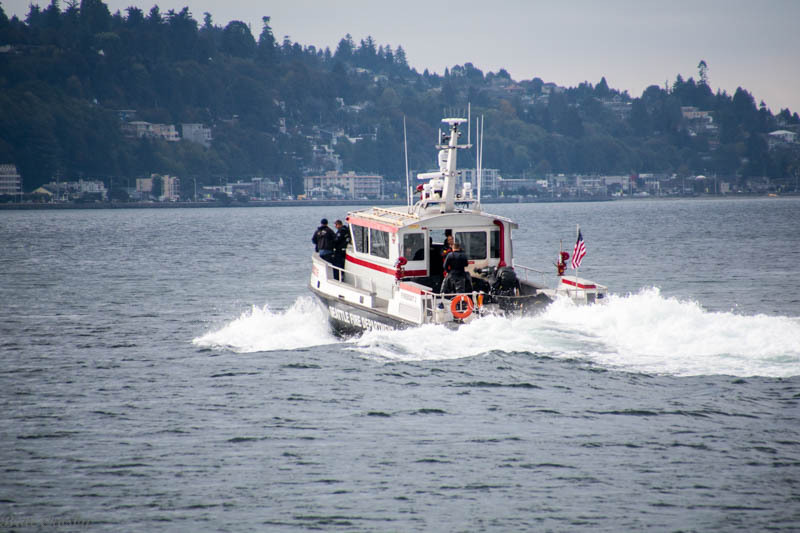 Fireboat 2 is stationed along with the "Leschi" at Pier 90. 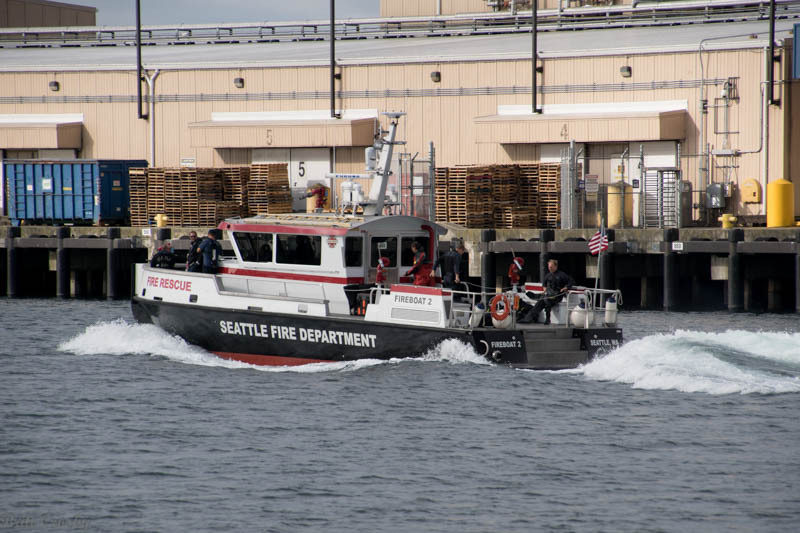 Fireboat 2 headed out for Dive Drill.